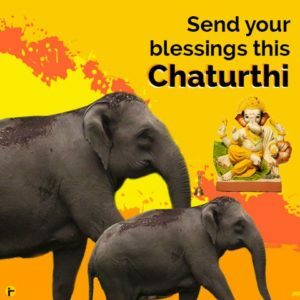 When we began to look at the environmental issues surrounding the Ganesh festival in 2007, in the city of Pune, the birthplace of this massive social event, a few things were immediately evident. The materials being used to make the items for the worship were chemical and non biodegradable. The ritual of immersing these in natural water bodies led to water pollution. The accessories used in the decorations were also synthetic and polluting. The size of the idols and the scale at which the festival was being celebrated was creating an environmental impact that was unmanageable. It was a very popular and deeply sentimental event that could not be easily questioned. 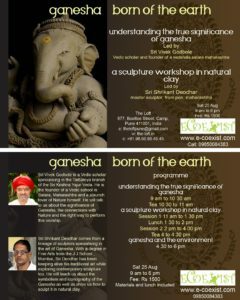 eCoexist began by addressing the most obvious aspect - the material out of which the Ganesh idols were made. Whereas traditionally, the idols were sculpted out of local clay by devotees themselves, in the industrial age, this had been replaced by Plaster of Paris, a man made material that does not dissolve in water. Additionally, the paints used to colour these idols were chemical oil or water colours that contained lead and mercury. Based on research done by Toxics Link, Delhi eCoexist sought out sculptors in the town of Pen, who were still holding on to the tradition of sculpting in natural clay. We realised that the challenges faced by them were tremendous as clay was laborious to work with, time consuming and very fragile. This meant that the costs of making idols in clay were nearly two to three times more than Plaster of Paris. With the change in lifestyle, finding workers who would be willing to sculpt by hand was becoming more and more difficult and we could appreciate why most Ganesh idol manufacturers preferred to turn to PoP. Our first 30 idols were made in Pune itself, with the help of a local sculptor, and we invite the mentally challenged students of the ASHA school to paint them for us. The colour pigments were suggested by the principal of the school Arundhati - who said we could use various types of earths and food materials such as turmeric and spinach. Over the years that followed, eCoexist started to collaborate with the traditional sculptors, encouraging them to sculpt in clay while eCoexist bore the responsibility of creating a market for these idols. This was not an easy task, as we were competing against brightly coloured PoP idols which were much cheaper than ours. Damages were plenty and the entire task of transporting these idols to the city was very stressful. However we slowly started to get the message across. 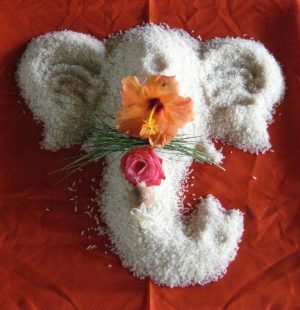 While the diety Ganesha appeared early in the evolution of the Hindu brief system, the festival of Ganesh Chaturthi became a major social and public event because of Indian freedom fighter Lokmanya Tilak, who championed it as a means to circumvent the colonial British government ban on Hindu gatherings through its anti-public assembly legislation in 1892. The district of Pune which is the home of the eight special forms of Ganesha ( Ashta Vinayak) was also the city where Lokmanya Tilak lived and led the freedom movement. The celebration is most grand in the city of Pune which continues the tradition of using it to raise social and environmental awareness in society. Read about the natural origins of the Ganesh Chaturthi festival in an interview with Vedic scholar Sri Vivek Godbole of Satara. The toxic chemicals contained by chemical paints and the impact of these on water. The impact of all the 'nirmalya' - the worship materials when thrown into water. It should be clearly stated that it is not the materials themselves that are an issue but the fact that they are 'immersed' in natural water bodies that creates an environmental problem. The ecosensitive alternatives available for this festival include a range of natural or biodegradable materials on the one hand, and reinterpretation of the ritual itself on the other. In the initial years, eCoexist conducted educational sessions in schools teaching children to make their own idols, published articles and spoke about the need to switch to natural materials wherever possible. These educational sessions discussed the concept of biodegradability with the children and also demonstrated to them how a Ganesh idol is made. We also invited sculptors to teach them how to make their own idols.